HTPCs can produce noise that can be quite annoying especially when they are placed near the TV or speakers. This is because of the fans that are cooling the system. If you are having this problem or do not want to encounter it when it is time for you set up your home entertainment system, a good alternative is to use a fanless HTPC case. This type of HTPC case may have other ways to cool the system or it may have none, but one thing for sure is that it does not have a built-in fan or it does not have space for fans to be installed. Here are some recommendations. This slim case is designed for Mini-ITX and Micro-ATX motherboards with room for a 5.25 inch optical drive. It features support for an expansion card, heat pipe cooling, and two anti-vibration mounting positions for 2.5 inch hard disk drives. One of these mounting positions is designed to also accommodate a 3.5 inch hard disk drive. This slim design also allows it to accommodate a fanless AC/DC adapter which keeps the design clean and still efficient. This design also makes this chassis ideal for stacking in rack mounts. If you have heavy duty requirements for your home theater system, this is a great choice to house your HTPCs. You can buy it for $258 from HD Plex as of July 2011. This case from Amazon, priced at $189.99 as of July 2011, is not as heavy duty in terms of features compared to the previous case, but for all intents and purposes, it is still a very capable case with an ultra slim profile. It is only 68 mm tall, making it ideal for placement on top of media centers or any type of surface where it won’t take up too much space. It also has a sleek and minimalistic design that lends itself quite well to all kinds of set-ups. Its diminutive profile does not mean it is a weak piece of equipment. It has a sturdy SECC chassis with an aluminum front panel. It can also accommodate 3.5 inch hard disk drives. The two previous cases find their strength in being slim but still efficient. This one goes for the opposite. Its tall and bulky look gives it a sleek and powerful feel. 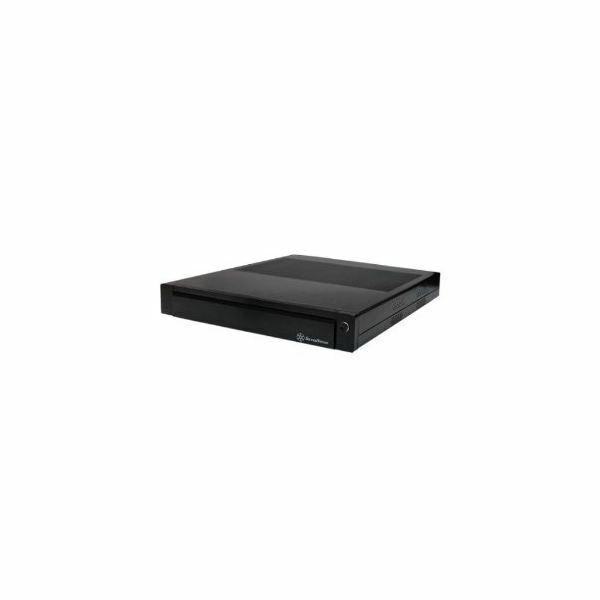 It is still quite compact but it offers more features like front input and output ports for several items like DVD-RW drives and Blu-Ray players. It has a total of three drive bays; one 3.5 inch external, one 5.25 inch external and one 3.5 inch internal. 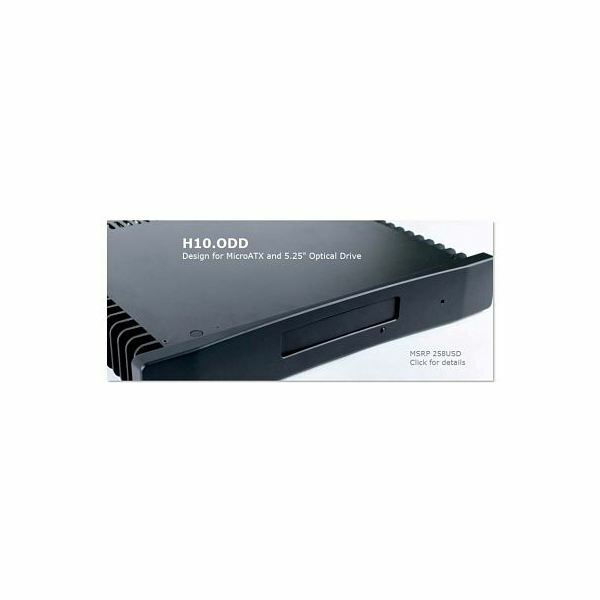 It has a built-in fanless 200-watt SFX power supply and an overall elegant black design. It is designed for Mini-ITX motherboards. To round out its features, its front panel has ports for one microphone, one speaker and two USB devices. It is available online from Amazon.com for $64.99 as of July 2011. 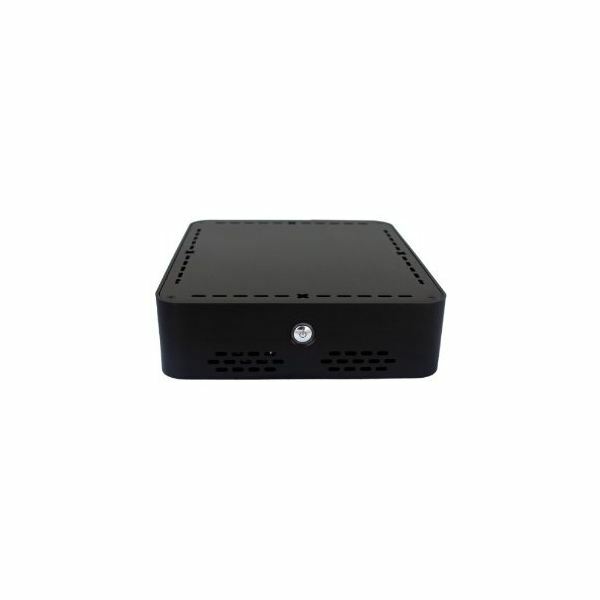 Measuring only 2.5 inches in height, this case is a very slim and compact body that can house a Mini-ITX motherboard and its built-in 12v DC power supply. It has a drive bay that can accommodate 2.5 inch and 3.5 inch hard disk drives. It has a minimalistic design that makes it ideal for placement in any kind of set-up. With a weight of only about three pounds, you can easily handle it when installing components or placement. You can buy it from Amazon for $64.99 as of July 2011. This case is designed to prevent dirt and dust from invading the electronics that it houses like the motherboard and the hard disk drives. 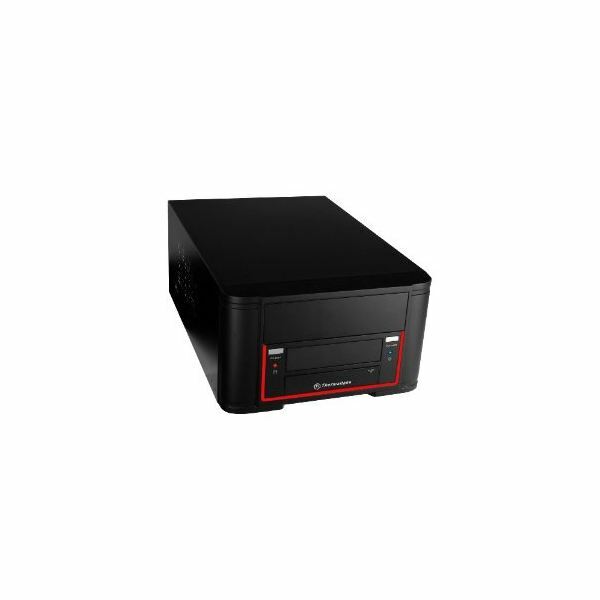 It has a hard drive bay for 2.5 inch drives and an optical drive bay for CD and DVD drives. Both these bays have built-in mounting trays so all you need is to place the drives in there. Its extruded front panel made of aluminum has ports for two USB devices, FireWire connections and microphone inputs. For cooling, it has a heat pipe and heat sink combo that is located on its chassis fins. Assembling this case requires some experience because it can get quite complicated. Experienced users will find it relatively easy to set up but, for beginners, reading the manual before diving in is a very good idea. You can buy it for $39 from Logic Supply as of July 2011. These options for fanless HTPC cases come in different sizes and designs, but they all have one thing in common and that is their silent operation thanks to their fanless design.